Windows Phone 8 is probably the most exciting thing to happen to smartphones in a long while. And Nokia intends to capitalize on all that hype by pairing it with the awesome Nokia Lumia 920. But with a pre-order asking prices starting to skyrocket, some of our more budget-smart readers may be looking for other options. The good news is that you may not have to look beyond Nokia’s selection because the Nokia Lumia 820 may just have everything you’re looking for. Sure, the Nokia Lumia 920, the Samsung ATIV S and the HTC Phone 8X are the most exciting Windows Phone 8 devices heading our way. But for people who just want a solid phone and are curious about the Windows Phone 8 experience, you cant go wrong with the Nokia Lumia 820. Not a bad deal considering the price, right? 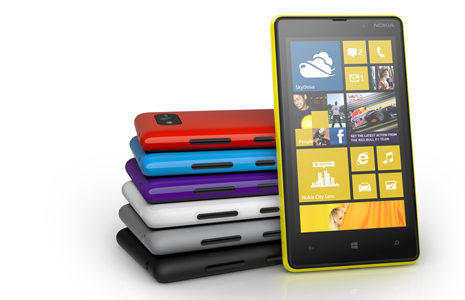 The Nokia Lumia 820 will be available in different vibrant colors, just like the Nokia Lumia 920 and the HTC Phone 8X. Like we said in the beginning, there’s no denying that the Nokia Lumia 920 is significantly ahead in terms of specs. But if you don’t need all those bells and whistles and just just want a great Windows Phone 8 device, then the Nokia Lumia 920 may just be worth checking out. Do you think the Nokia Lumia 820 is a great deal for its price? Would you pick it over non-Nokia phones like the HTC Phone 8X and the Samsung ATIV S? Let us know in the comments below!